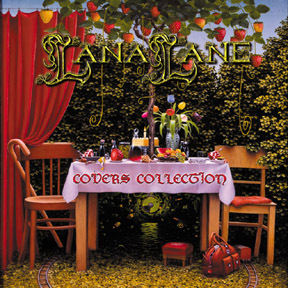 (Los Angeles, 11 December, 2002) Lana Lane has completed another of her special "collection" releases following in the footsteps of her two previous Ballad Collection albums from 1998 and 2000. The new album is appropriately entitled COVERS COLLECTION and contains 11 audiophile recordings of classic hard rock and progressive rock songs spanning the 70s through the 90s. The songs were largely chosen from requests by fans and friends over the years, and the ultimate criterion for their inclusion was that they were all extremely melodic and memorable tracks. Not surprisingly, Lana interprets each song uniquely with her own inimitable style, power and grace. The album is produced by keyboard wizard and studio guru Erik Norlander who has overseen every Lana Lane album to date along with his own solo albums and music by his band Rocket Scientists. Guest musicians include drummers Gregg Bissonette (David Lee Roth, Steve Vai, Joe Satriani, ELO, etc. ), Nick D'Virgilio (Spock's Beard, Genesis) and Ed Warby (Ayreon, Star One, Gorefest) along with guitarists Mark McCrite (Rocket Scientists), Arjen Lucassen (Ayreon, Star One), Neil Citron and Gabriel Moses, fretless bass icon Tony Franklin (Blue Murder, The Firm, Whitesnake, etc.) and the familiar Lana Lane string players Novi Novog (viola) and Cameron Stone (cello).